Colour me red. No! Blue. Over the last 200 years, some 380 species of snapper have been identified and assigned portentous Latin names, but most of these had already been discovered and named by someone else, usually Achille Valenciennes and George Cuvier who, starting in 1828, published the 20 volume Histoire Naturelle des Poissons pinning down 2,000 species of fish including 76 snappers. The International Game Fish Association reckons there are 250 species of snapper, but that may be because it likes to be kind to its members. (More species means more records.) 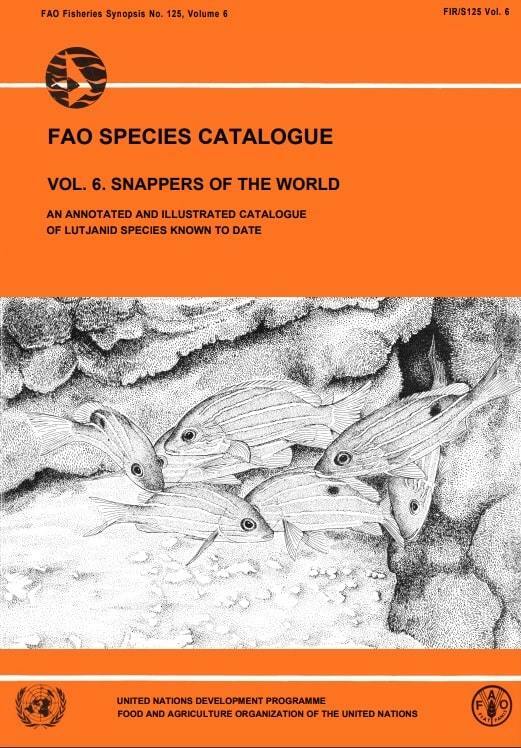 The United Nations Food and Agriculture Organisation listed 103 species in its 1985 publication, Snappers of the World. Perhaps another 20 species have been identified since then. So we go for approximately 125 species. Scientists call this group the lutjanids and the Latin names of over half of them commence with the word Lutjanus. Colour me red. No! Blue... Yellow? All 3! At first sight they seem to be quite a diverse group, at least colourwise. 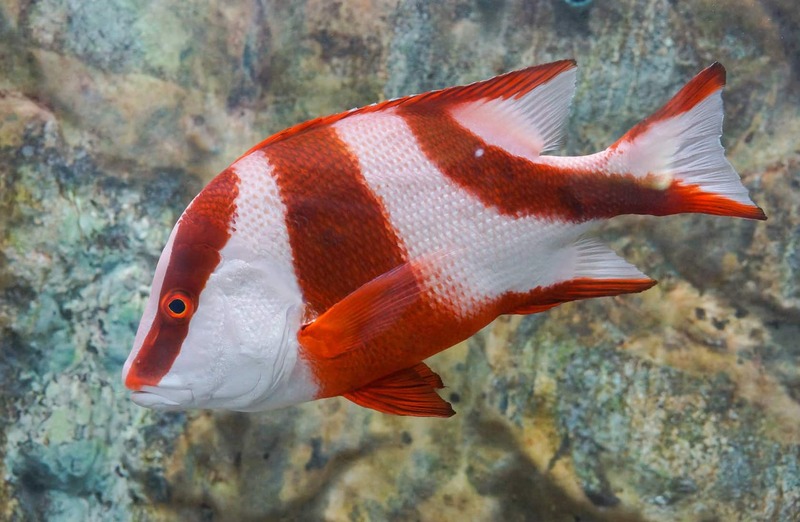 About 24 species of snappers are red or primarily red, although only half of these get the word red or a hint of it in their names: crimson, ruby, vermillion, scarlet, humpback red, cardinal, emperor red, Pacific red, southern red, northern red, yellowfin red, African red and deep-water red. Yellow and blue are other popular colours in the snapper family. Quite a few species have spectacular stripes, sometimes horizontal, sometimes vertical. 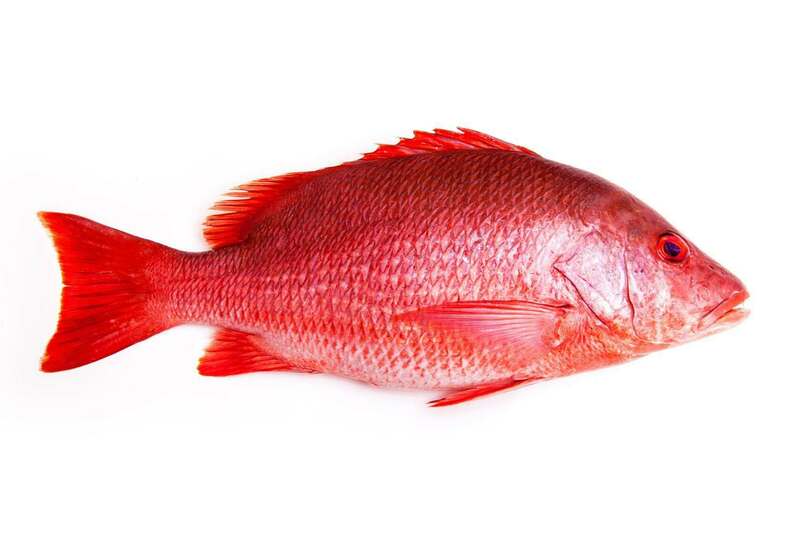 The top prize for sheer gaudiness goes to the emperor red snapper. Admire the emperor and almost all the other snappers on this FishBase page (but we think their picture of the lane snapper doesn’t do it justice). The species are quite localised. For instance, the African forktail snapper is only found off the west coast of Africa between Senegal and Namibia and the bluestriped snapper is only found off Madagascar and the opposite East African coast. This Madagascan fish however is distinct from the common bluestripe snapper found in arc extending from Arabia to well past Indonesia (and overlaps with the bluestriped off northern Madagascar). The species are also intermingled. The eastern Indian Ocean, especially around Indonesia is home to at least 20 species, including many that look similar. Another dozen call the Mexican Gulf home. Inevitably potential and actual confusions abound. Confusion and sometimes active deception is also pervasive amongst fishermen and in the wider fish trade (and not only with snappers). The word snapper is often applied to fish which look like snappers but which ichthyologists (aka fish scientists) have assigned to other biological groups. An example is the fish we sell as the New Zealand Snapper. To scientists, this is a porgy or bream, not a snapper. We stick to that name because it is universally recognised as the commercial name of this species. 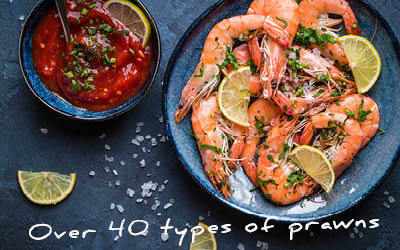 In the UK, we don’t get too worked up about the term red snapper being misapplied but in the USA where the fish is a major restaurant item, the issue is more serious. 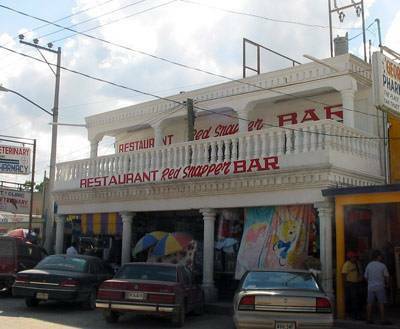 A study there took 120 samples of fish being sold as red snapper. Only seven were genuine. In other words, 94% were mislabelled. 27 other species were masquerading as red snapper of which 17 were not snappers at all. Bearing in mind the likelihood of getting it wrong, we should confess that if you’re looking for a list of features that distinguish true snappers from all other fish, you won’t find it here. We’d say the half a dozen species we have come across all have quite hard scales, bodies which are relatively deep and relatively thin, and spines in their fins which you would not want to prick a finger on. And were often extremely colourful. They don’t grow too large – 6-8 kgs would be quite a large snapper in our experience. The same descriptions would apply to the breams we have encountered.) For the record, according to the International Game Fishing Association, the largest snapper on record was a cubera snapper caught in the Mexican Gulf measuring 56kgs and 120cms. The biggest red snapper weighed 23 kgs. It’s considered that all snappers make good eating but most species are caught only by artisanal fishermen, only in modest quantities and only sold locally. Less than a dozen species are targeted on an industrial scale and only three or four are imported into the UK. Foremost amongst these is a group of species that are all known legitimately the red snapper. The scientific name we use is Lutjanus sp, which means that it is one of several lutjanid species. We believe it is normally one of the following. Random local authority surveys have identified a further 15 species which were not snappers, being sold as various kinds of snapper. Meaningful statistics on global snapper fishing and trade are sparse. Despite its catalogue referred to above, the FAO – normally a reliable starting point – hardly makes an effort on snapper figures. The best we have tracked down come from Dr Donna Cawthorn of Salford University whose study was more about the lack of proper statistics than about the red snapper itself. So far as we understand her figures, the global catch of snappers is around two million tonnes a year of which about two thirds are from waters around Indonesia and a quarter from the coasts between the USA and Brazil. About 180,000 tonnes are exported from the country in which they are processed, with the leading producers being Brazil and Mexico in the west and Indonesia, Malaysia and the Philippines in the east. Probably two thirds of these exports go to the USA which is very keen on red snapper but has overfished its own resources. Thus the major Mexican and West Atlantic populations of snapper are definitely subject to overfishing, with the pressure from recreational fishing almost as heavy as that from commercial. The US authorities have been managing this problem with increasingly severe steps for many years. The picture in Indonesia is very murky, but it might be deduced that snappers are overfished there too.